A while back I purchased a refurbished digital SLR (a Canon EOS Rebel XS) with the intention of learning to use it to improve the quality of photos I take. The first few times I used it I just felt frustrated and it went into a drawer to be ignored for months on end. With our upcoming trip, I knew I wanted to try one more time to master the darn thing. 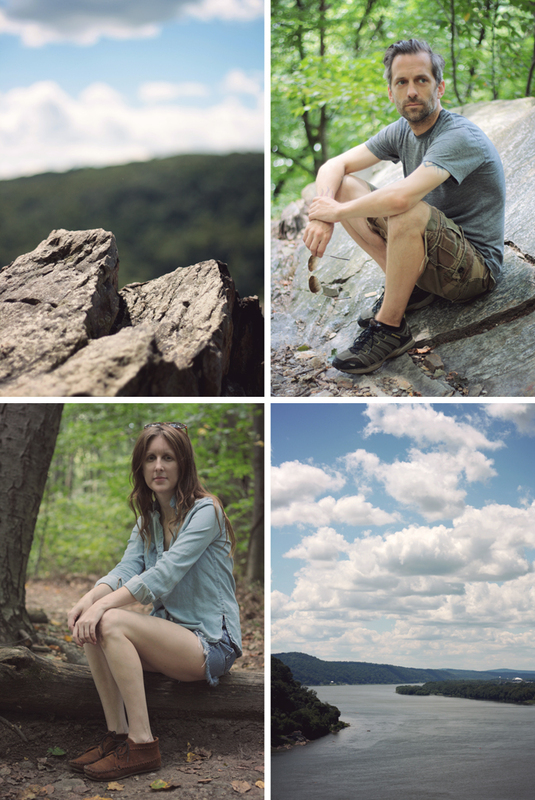 So, the other day, Tom and I took advantage of the unseasonably nice weather (seriously, it feels like fall in August here) and took a hike out to Chickies Rock so I could practice taking photos. Chickies Rock is part of the Lancaster County park system and it's so close to us and such an easy walk I can't believe we've never done it before. 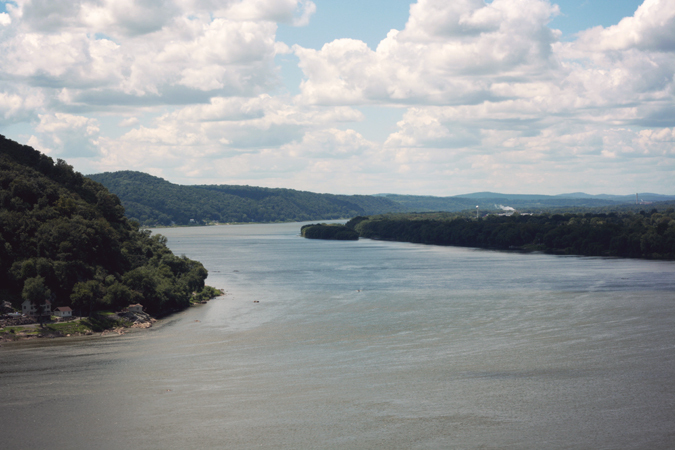 A short walk through the woods pays off with a beautiful view overlooking the Susquehanna River. I snapped about a hundred photos in half an hour until I finally figured out all the buttons and gizmos. Now that I have that figured out, I'm getting really excited about our trip! On the way back to the car, we passed a spot where we joked we once would have stopped to take blog photos. So... here's me in my rolled out of bed outfit, no make up and unbrushed hair! In other words, what I usually look like. Oh yay, the pictures turned out great! Glad to hear you didn't give up on your camera. I used to shoot on the Rebel and love it. I've since however upgraded to the Canon 60D. And... I love your rolled out of bed look, you're still fabulously stylish! Great shots! I own a canon rebel too and love it. I would have never guessed you'd just rolled out of bed had I not read what you wrote; I wish my bed head looked like yours! Great pictures! What a beautiful view!